Abdominal have many names, some call it stomach, some tummy and some call it a belly. You can call it by any name but now we are going to show you how to practically draw a human tummy step by step in an easy video tutorial. Abdominals are the places where all of our food go and is digested and then it is distributed all over to our body, nutrients are separated from waste materials and all split apart into many chambers. If you are wondering what lies in your tummy, then there is an extensive list for you. Hollow abdominal organs include the stomach, the small intestine, and the colon with its attached appendix. Organs such as the liver, its attached gallbladder, and the pancreas function in close association with the digestive tract. The spleen, kidneys, and adrenal glands also lie within the abdomen. The abdominal wall is split into the back, side, and front walls. If you haven’t grasped any idea above, well skip it and come to the point. The video will give you much experience on drawing many human and animals organs in an easy way. These videos are as easy as 123, so you only have to watch these videos carefully and get the grip on your pencils for sketching these amazing body parts nature bestowed upon us. Check out the video Above and do not waste your efforts just by wasting time and watching video for no purpose. Watch video very carefully and get your amount of knowledge from it. 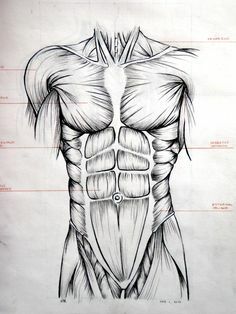 You may have got a good idea of how to draw an abdomen, so if you watch this tutorial three to four more times, you would be a master of this diagram. Share this video with your friends and be ready for other awesome tutorials.